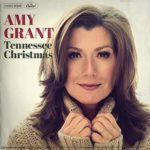 It’s nice to revisit old memories during the holidays and Amy Grant’s “Tennessee Christmas” album is like a warm memory of holidays past. The album focuses on the “melancholy” nature of the season. 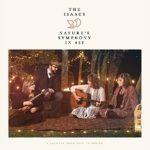 The songs are tender, heartfelt, and at times, a bundle of joy. While the album is primarily made up of older material there are a few new additions to the CD. Including an updated version of “Baby It’s Cold Outside” featuring husband Vince Gill and “Christmas Don’t Be Late” with a bit of narrative from Amy. The new album is a meaningful reflection on family and tradition and there is no better time than Christmas to really reflect on how important those things are in life. 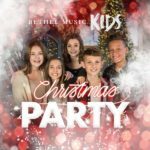 The new Bethel Kids Christmas offering is an upbeat synth pop rendition of holiday favorites like “Little Drummer Boy,” “O Coy All Ye Faithful” and “O Holy Night.” It’s a short EP, with just 6 tracks and two of them are just different versions of “Little Drummer Boy.” It’s quite clever how they worked in a more modern day drumline into this song. My favorites are by far the techno-pop “O Come O Come Emmanuel,” mostly because of the choir sounding vocals, and the ever beautiful “O Holy Night.” Overall it is a fun CD, but the style of music is far from traditional and can become a bit overwhelming after a while. It’s great for a moment or two of fan or a quick dance party Christmas style. I an truly feeling this festive album, the punchy “We Three Kings,” “I saw Three Ships Come Sailing In,” and the funky “It’s Christmas Time.” They all make for a wonderful holiday album. 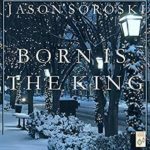 “Born is the King” is also a family album, with an instrumental, “It Came Upon the Midnight Clear” featuring Jana Soroski and “In the Bleak Midwinter,” featuring Rachael Soroski on vocals. These two, as well as the others led by Jason, combine to make for a decent holiday offering. There is also an acoustic guitar instrumental called “Snowflakes and Streetlamps” that I find very appealing. Overall, “Born is the King” is a well-rounded Christmas album with a very traditional style. I particularly like how the family was involved in the recording. 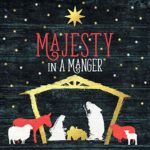 “Majesty in a Manger” is a worship based Christmas album. It features many different artists on their label (listed below). 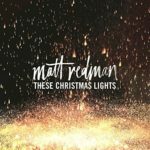 The eclectic set of artist and original songs makes this a unique offering this season. 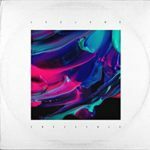 “Gloria,” featuring Darle Zschech is one of the standout tracks with her powerful vocals and such a heartfelt Christ-centered message. And I particularly like the ending guitar based instrumental featuring Lincoln Brewster. 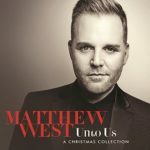 The genuine feeling of worship does permeate through this album and it is a wonderful new assortment of originals to add to your holiday collection this year. One of my favorites is “Help from Heaven” which features Natasha Bedingfield. It’s a beautiful song lyrically and when you add her angelic voice it’s a lovely combination. 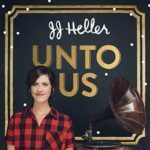 Overall the album has a very lofty soundtrack and the depth of the original content make it a great new addition to this year’s Christmas offerings. 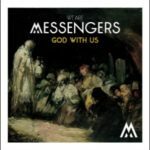 “God with Us” is a delightful little project. The closing track says it all, “Christ Our King”! This is a cool little piece with a bit of hip-hop mixed with a traditional holiday soundtrack. It rounds out a very respectable EP overall. However, this time, “Invisible,” seems to be more about our response to God. A response of adoration and reverence. It reminds me to “be still” and know that He is God and He is in control. God wants nothing but the best for each and every one of us and that’s so easy to miss in the business of life. I found that “Invisible” helped to draw me into a place where I was more readily able to listen for God’s calming voice. If you have not already caught on to “Invisible,” I would suggest checking out http://leelandonline.com/ to get hooked.